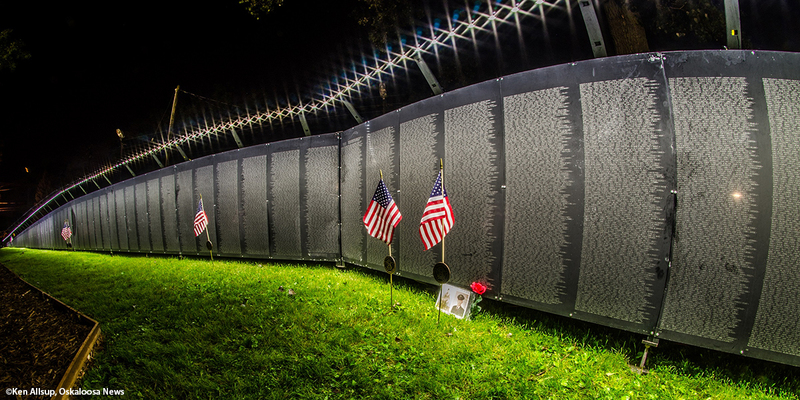 Musco is proud to provide the lighting for The Wall That Heals®. This scale replica of the Vietnam Veterans Memorial in Washington, D.C., has touched the lives of people in more than 350 cities since it was unveiled in 1996. Approximately 250 feet in length, this traveling memorial contains the names of the 58,000 service members who lost their lives in Vietnam. The memorial’s visit to Oskaloosa, Iowa, home to Musco Lighting, coincided with one of the most patriotic holidays, Independence Day. Area residents paid tribute to the nine local service members listed on the memorial by placing an American flag near each of the fallen soldier’s names. 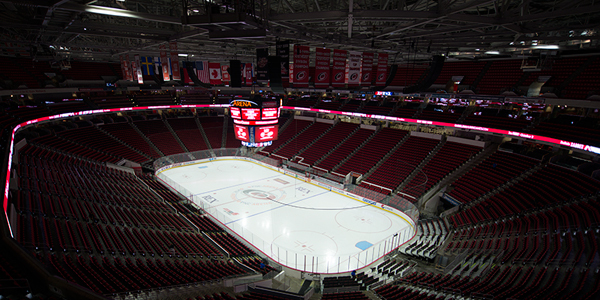 The Musco Team is honored to be part of this historic memorial as it makes its way across the nation.